HYPNOTISM is by no means a new art. True, it has been developed into a science in comparatively recent years. But the principles of thought control have been used for thousands of years in India, ancient Egypt, among the Persians, Chinese and in many other ancient lands. Miracles of healing by the spoken word and laying on of hands are recorded in many early writings. The priests and medicine men of primitive tribes used these forces widely and still use them to-day, with results sufficiently impressive to maintain their traditional position of authority for successive generations. The father of modern hypnotism was Mesmer, a native of Vienna, who moved to Paris in 1778, and attracted a large following through reports of thousands of cures. Like many pioneers, the theory which he advanced to explain his work was later discredited. This was called animal magnetism. He believed that a magnetic fluid flowed from the operator to the patient which contained miraculous healing power. Dr. James Braid, born in Manchester in 1795, after much experimentation, discarded the theory of Mesmer, proving that the same results could be obtained without Mesmer's ballyhoo, and without any belief in animal magnetism. At first Braid used no verbal suggestion in putting his patients to sleep, merely having them gaze at a bright object, held a few inches above their eyes, until they became drowsy and fell into a deep sleep, in which they responded to his commands. 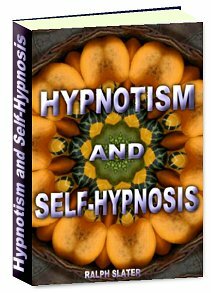 In his later practice he added suggestion to this physical means of hypnosis with much more excellent results. Braid was the first to use the word hypnotism, coined from the Greek word hypnos meaning sleep. The science of hypnotism was further developed by the work of Doctors Liebault, Bernheim and Charcot some years later in France. Liebault, while using the Braid method of inducing sleep, made much more extensive use of suggestion; he was remarkable in that he practised for twenty years as a poor doctor in a remote country village, always refusing payment for his hypnotic services. Bernheim, at first a critic, later a friend and student of Liebault, organised the science of suggestive therapy into a complete system of treatment. While Bernheim and Liebault in the Nancy School, which they founded together, worked almost exclusively with healthy and normal people, whom they found to be the most satisfactory subjects, Charcot, who founded the Paris School, had his successes mainly with nervous and neurotic patients, who flocked to him in great numbers, and he accepted it as his mission to help these unfortunate people. As a neurologist and an expert in hysteria, Charcot disagreed violently with Bernheim's view that hypnotism worked on the mind of the patient,and always claimed hypnotism as a neurological rather than a psychological technique. Outstanding among the scientists in America who have influenced the development of hypnotism were Professor William James, Dr. Boris Sidis and G. Stanley Hall. These thinkers developed the concept of the subconscious mind in explaining the phenomena of hypnotic suggestion. They taught that in hypnotism, the conscious mind of the subject was placed in a state of inaction or suspension, and that the operator was consequently able to direct his suggestions or commands directly to the subconscious. What these scientists have done for tens of thousands, through the years of the development of the hypnotic art, is being actively accomplished to-day. In the second part of this book I describe in detail the methods which have been used to bring better health, happiness and success to the vast number of modern patients who have enjoyed the benefits of hypnosis.